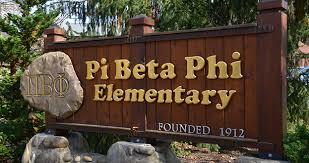 ACHE South is honored to partner with Pi Beta Phi Elementary School for this year’s philanthropy project. In November 2016, wildfires ripped through Gatlinburg, Tennessee directly affecting Pi Beta Phi. 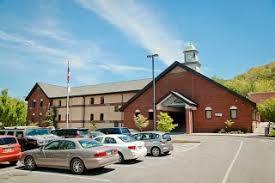 The school experienced substantial smoke damage, causing students to be displaced from their school for some time post fires. While they have recovered and returned to their school, assistance is needed to provide new books and supplies for their library. 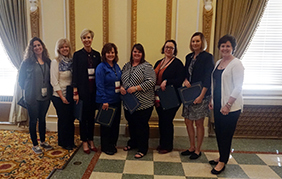 Partnering with Pi Beta Phi allows ACHE South participants to encourage literacy for a younger generation. Amazon Wish List that you can order and the items will be shipped directly to the school!! Please feel free to share. Get involved! Remember, you can shine the spotlight on outstanding members and programs at your own institution by submitting a nomination. Awards will be presented at the Annual Meeting in Austin, Texas on April 10-12, 2018. Also, if you are interested in getting involved in the ACHE Awards Committee, contact Dan Connell or Laura Ricke. Members of the Site Planning Committee traveled the Sheraton Austin Hotel at the Capitol early August 2017 to lay the groundwork for the 2018 ACHE Meeting of the South Region. The group was excited to plan a conference based on cultivating our partnerships and relationships in higher education. In a time when budgets are dwindling and there is much uncertainty in higher education, it is imperative that we connect with our colleagues and develop connections that will help us to not only grow personally, but will allow us to tap into a network of professional knowledge. These partnerships have been a lifeline for many of members’ units during times of reorganization and budget cuts. They have also given members valuable ideas that have proven to be effective. 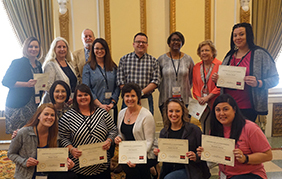 For the 2018 ACHE Meeting, the Planning Committee has developed a program that will create an environment to build these relationships and give each attendee their own personal network after they leave the conference. During the Site Planning Meeting, the group also scouted out some of the best food in town, found where to buy a bucket of donuts for $10, and located the best place to go bat watching. The committee looks forward to sharing more conference details soon! 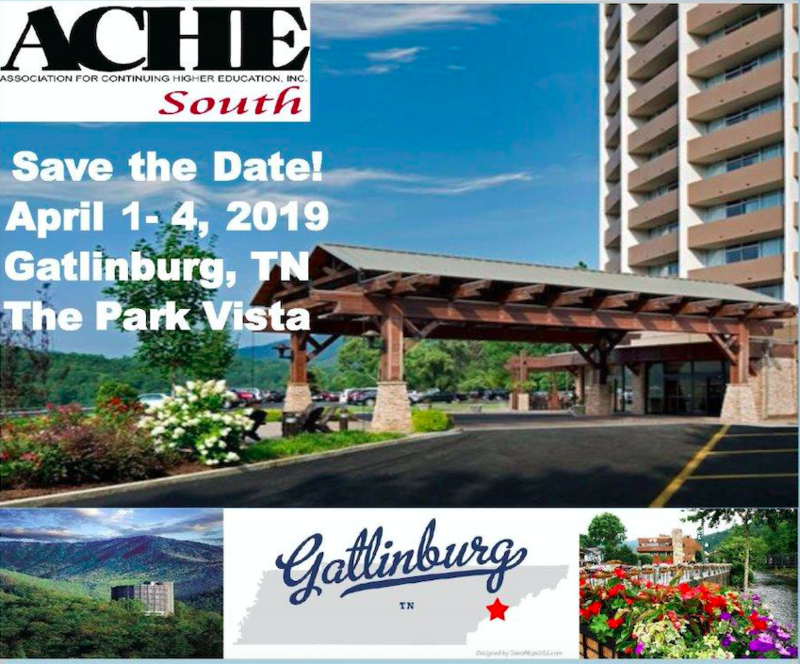 If you are not signed up for our ACHE South Region e-mails, contact Lisa Schmidt and she will be sure that the latest news about Austin is delivered to your inbox! St. Jude Children’s Research Hospital, located just a few minutes away from the Peabody Hotel, is a haven for children with catastrophic diseases. This hospital is dedicated to finding cures and treating children completely free of charge. Since they opened in 1962, they have helped the childhood cancer survival rate rise from 20% to 80%! To help, ACHE South members packed their suitcases with over two large boxes worth of art supplies to donate to the hospital. While seemingly small, these arts and crafts supplies helped bring some much-needed fun to children who are fighting for their lives. Thank-you to all of the members who helped with this project! Have you ever wondered how ACHE South works? 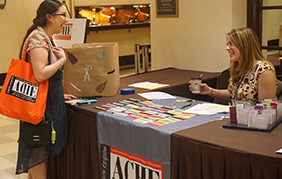 ACHE South is a volunteer organization that allows its members to take the reins and infuse their creativity and personal touches into our Annual Meetings each year. Here is a brief introduction on the election process and roles within the ACHE South Executive Committee. Each year, a member of ACHE South is nominated to be the Secretary of the organization at the Annual Business Meeting. This begins the process for this person to become the Chair. Year 1 – Secretary - takes minutes at the regional meetings and serves as chair of the Site Planning committee for the Annual Meeting of the South Region. Year 2 - Chair-Elective - serves as Program Chair for the Annual Meeting of the South Region. 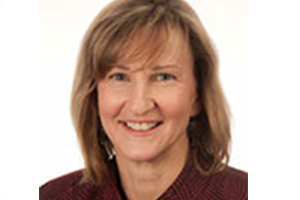 Year 3 – Chair – presides at all ACHE South meetings, appoints committees, serves as a member for the Program Committee of the Annual Meeting of the South Region. Year 4 - Immediate Past Chair – serves in an advising capacity to the Executive Committee. Treasurer – keeps records of all monies received and distributed, gives financial reports to the group. Member-at-Large (1-3 positions) – this person serves a two-year term on the Executive Committee. They are part of the Program Committee and also serve as chair or co-chair to a variety of different (and fun!) ACHE South committees. 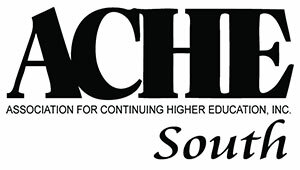 If you are interested in joining the ACHE South Executive Committee, contact Chris Nesmith at cnesmit@mailbox.sc.edu. ACHE South has a place for everyone. We guarantee you will meet fellow ACHE South members and learn tips and tricks from new friends to take back to your office. Volunteering is the best way to network and tap in to the valuable resources each one of our members can offer. If you want to get involved, here are a few places you can start! Awards Committee. Review award submissions from various categories to determine yearly winners. History and Traditions Committee. This committee maintains the history of the South Region. Also, the committee maintains a record of regional traditions relative to protocol, organization, and procedures. Website Content Committee. 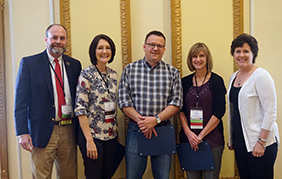 This committee shall maintain the ACHE South website with up-to-date and pertinent content related to ACHE South membership, news, and conferences. Long-Range Planning Committee. This committee recommends goals and objectives and is responsible for continuous review of previously established goals and objectives. Conference Volunteer Positions. 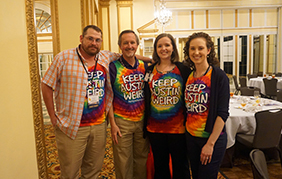 If you are planning to attend the Annual Regional Meeting in Austin, Texas, you can help by presiding over a break-out session, working at the registration desk, or helping with audio-visual equipment. Also, you can submit a proposal to be a presenter at a session. If you are interested in volunteering, please contact Chris Nesmith at cnesmit@mailbox.sc.edu. To read more about these members, visit our ACHE South Officers page. If you are interested in learning how you can join the Executive Committee, contact Chris Nesmith at cnesmit@mailbox.sc.edu.